An acting and performing arts academy based in Watford. Established in 1995. The NRYA, or Nichola Rees Youth Academy is an extra-curricular acting and performing arts school, based in Watford, for young people aged 4-18. The academy has, since it started, striven to produce extraordinary theatre, whilst actively encouraging self-confidence, self-expression and a commitment to teamwork in all who attend. NRYA acting and performance workshops take place every Thursday evening from 7:30 – 9:30 (for those aged 12-18) and every Saturday morning and afternoon (for those aged 4-12) at Cassiobury Junior School, Watford. A typical workshop involves a vocal and physical warm-up, followed by structured improvisation and acting training. Students are then asked to put their performance skills into practice by devising a short piece of theatre in small groups. Workshops end with drama-based activities or games. Every year, each NRYA workshop group puts on a full-length production of a well-known story or piece of theatre. Past shows have included: Grease, Alice in Wonderland, A Midsummer Night’s Dream, Oliver Twist, James and the Giant Peach, Into the Woods, Seven Brides for Seven Brother’s, The Lion, the Witch and the Wardrobe, Daisy Pulls It OFF and Bugsy Malone. During the build-up to productions, weekly workshops become rehearsal periods, where students learn to work with a script with acting and directorial guidance from Nichola. In addition to weekly workshops and annual productions, the NRYA also offers preparation classes for LAMDA Acting and Public Speaking qualifications every Monday at St Luke’s Church, Watford. LAMDA, or the London Academy of Music and Dramatic Art, is a leading British drama school, and its qualifications are the speech and drama equivalent of a music grade. The NRYA has a 100% pass rate. Nichola, herself, is also the in-house LAMDA qualifications teacher at York House School. LAMDA Public Speaking classes also operate on a Saturday morning from Cassiobury Junior School from 9-11am along with summer Holiday ‘LAMDA Public Speaking’ Camps. Since starting in 1995 as a one-woman show, the NRYA has grown into a vibrant company of drama and theatre specialists and enthusiasts, committed to creating a fun, stimulating environment in which students can learn and perform. Since 1995 Nichola has been running the NRYA. Within that time she has directed over thirty productions. Her passion for the group and the pupils she teaches still continues and she prides herself with the community spirit and loyalty that her pupils show her. Nichola graduated from the Italia Conti Academy of Theatre Arts in 1997 with a BA (hons) in Acting. Within that time her professional theatrical work has included Ann in ‘The Light and Dark’ at the Southwark Playhouse, Chorus in ‘Dr Faustus’ at Greenwich Theatre, Linda in ‘Talk Radio’ at the Hampstead Theatre and Ophelia in ‘Hamlet’ at the Finborough Theatre. Television work includes roles in Peak Practice, The Bill, The Heart Surgeon and Mysterious World. Presenting work includes being the regular traffic, news and weather girl for the breakfast slot on Classic fm and Jazz fm as well as being a regular presenter for QVC, Sky Digital and the Paramount Comedy Channel. During 2003 – 2007 Nichola worked with paramount comedy channel and ingenious media creating television comedy formats for various productions and artists. In 2004 she had her first book published by Scholastic books ‘Drama and Roleplay’. Since that time Nichola has been involved in several other writing projects for Scholastic, most recently six small stage adaptations. 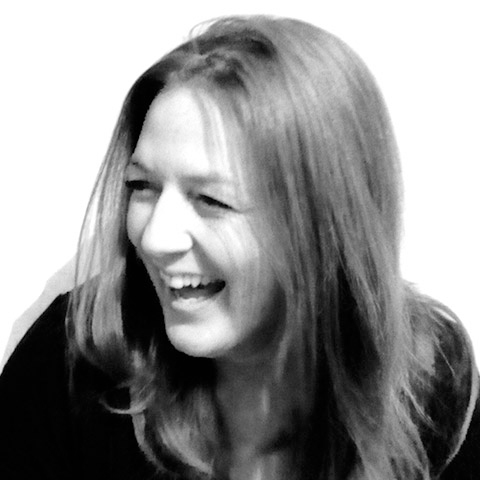 Alongside the above Nichola works as a psychotherapist and a facilitator for assorted training companies. Graduating from De Montfort University with an MA in Transpersonal Psychotherapy in 2007. My children attend the Saturday Drama class and Lamda on Mondays. I am overwhelmed by everything that Nichola has given my children; confidence, fun and most importantly belief in themselves. I have seen a noticeable change in both children and although very different personalities, I feel Nichola has been instrumental to these positive changes. They look forward to the weekly sessions and are both excited to perform in the upcoming production of James and the Giant Peach. To all those prospective parents (and their children) we couldn’t recommend Nichola’s drama session and teaching enough! She makes every session fun and we love the fact that there is a performance at the end of the term that we can all enjoy. She has a great ability to cast the right person to the right part… sometimes challenging but always getting the best out of the kids. Ben’s loved it.. and my 4 year old is champing at the bit to start in September! NRYA and LAMDA has helped me hugely to progress not only as an actor but also as a person. The huge amount of support Nichola has given to me and the close friendships I have made throughout the years have helped me to gain a surge of confidence that I never had before. I am truly grateful for the opportunities both have given me and am hoping to pursue acting as a career in the future! My son Liam has been attending the NRYA for almost 5 years. We looked in to many different drama and performance arts classes but instantly knew that the NRYA and Nichola would give my son a great balance between having fun and developing his artistic and creative skills. Nichola is passionate about what she does and totally committed to bringing out the best in each and every one of her students. My son has grown in confidence, developed new skills but also learnt a lot about team-work, co-operation and commitment since being a part of the NRYA. I am hugely grateful to the positive influence Nichola has been on my son, for believing in him and for the wonderful opportunities she has provided. If you are interested in joining an NRYA weekly workshop or LAMDA qualification class, please get in touch.